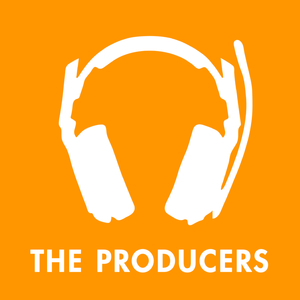 82 episodes of The Producers since the first episode, which aired on June 25th, 2017. Jonathan focus on taming a pack of wild owls while I decide to start a Jello clothing company. Lori memories every heavy metal song written in 1986 and I turn a chess set into a fully working model of the Trojan Horse. Will guides a group of young travelers through a scary mountain pass and I teach a salsa dancing lesson. Daniel announces his homemade candle company is going public and I make the Mona Lisa out of receipt paper and toothpicks. Teddy put his time to good use and developed a juggling addiction while I explored the life of someone who has collected too many DVDs. Drew performs a successful kidney transplant while I drink an entire gallon of soy sauce. Jessi reads Yelp reviews of dive bars from the midwest while I try my hand at old school clock making. Rachel creates the successor to the fork while I am in the other room trying to construct a violin from my living room furniture. Shawn teaches a flock of geese to correctly fold socks and I spend my time learning to juggle live beetles. Pete spends the whole episode making various kinds of pottery and I focus my efforts on doing a 48,000 piece puzzle. Harrison deconstructs Ikea furniture blindfolded whilst singing the Norwegian National Anthem and I beat all the levels of candy crush. Anthony is back and determined to single-handedly make the largest pancake and I am just here so I don't get fined. Michael manages to balance an entire thanksgiving dinner on his head while I attempt to set the record for most ears of corn shucked in a 60 minute period.